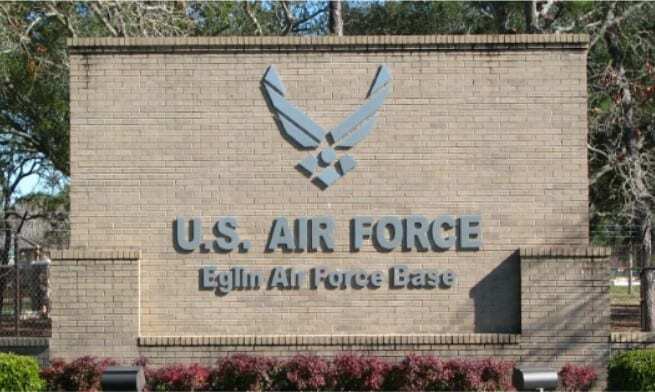 Advanced Munitions Technology Complex Center (AMTC) - Southern Earth Sciences, Inc. : Southern Earth Sciences, Inc.
Southern Earth Sciences, Inc. is serving as the Geotechnical Engineer of Record for the Advanced Munitions Technology Complex (AMTC) at Eglin Air Force Base (AFB), FL. This project requires the construction of eight primary facilities, totaling over 83,300 sq. ft., for the development of nano energetic/explosive technologies and the development, integration, rapid prototyping, and fielding of advance munitions. Some of the facilities are expected to have explosives detonations within the structures. The design incorporates explosives safety, anti-terrorism force protection (AT/FP) physical security, and life safety requirements, as well as acoustic and vibration mitigation techniques. Mitigation of explosive effects, including blast, thermal and fragment hazards, is provided with hardened reinforced concrete framing and steel fragment shields. Blast doors include single-swing to sliding doors, for intentional detonation or accidental detonation, to meet blast loading, response criteria, minimum fragment shield thickness, and seal requirements. The Complex will also require new roadways and parking areas to be constructed throughout the facility along with three (3) storm water detention areas. Construction is anticipated to last nearly two-and-a-half years with a total approximate cost range of work from $25,000,000 to $100,000,000. Electronic CPT rig and advanced to depths ranging from approximately 30 to 100 feet below the existing ground. Four (4) SCPT soundings (CPTu sounding with Shear Wave Velocity measurements) were advanced to depths ranging from approximately 50 to 100 feet below existing grade using the same track-mounted 20-ton Hogentogler Electronic CPT rig used for the conventional soundings. In addition to the CPT soundings, Direct-Push sampling (macro core sampling) was performed at requested locations within the planned infiltration/detention areas using a Geoprobe hammer and the Geoprobe DT22 dual tube sampling system. Direct push sampling was conducted to approximately 20-feet below the existing ground surface. Soil resistivity tests were conducted at three (3) locations across the project area. Field measurements were conducted utilizing an AEMC 6470 resistance meter and the Wenner 4-Pole Method. Laboratory testing included physical examination and general classification testing of samples obtained during the soil test boring operation. Testing included Moisture Content Determination (ASTM D 2216), No. 200 Sieve Washes (ASTM D 1140), California Bearing Ratio Tests (ASTM D4429), Modified Proctor Density Tests (ASTM D1557) and Constant Head Permeability (ASTM D5856).